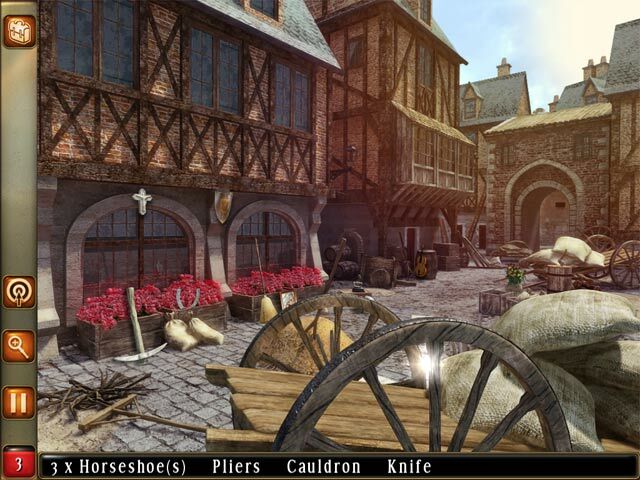 Help D’Artagnan and the Three Musketeers find the Queen’s diamonds and save the honor of France in this exciting Hidden Object game! United by strength, these 4 protagonists set out together on this adventure. The Three Musketeers: D'Artagnon and the 12 Jewels pits you against the Machiavellian plans of the evil Cardinal Richelieu! Stop Richelieu before he gets away with the priceless jewels and become a national hero! The Three Musketeers: D'Artagnan and the 12 Jewels is rated 2.4 out of 5 by 5. 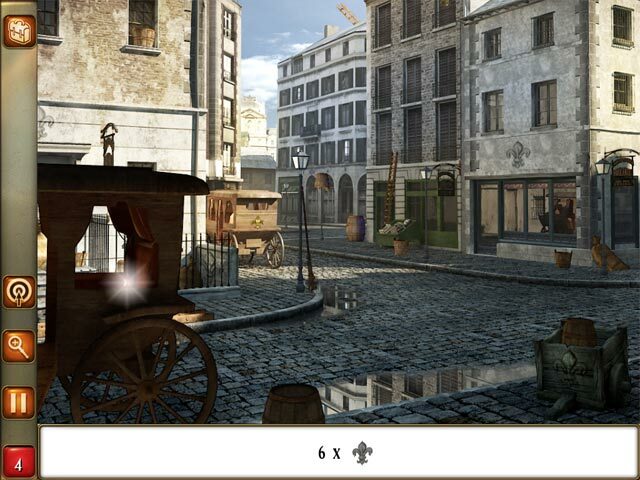 Rated 5 out of 5 by AdrianaIP from How to do hidden objects right Yes, this is an old game, and a bit clunky. Yes, they saved money by putting silhouettes instead of drawing the characters. Yes, all that yes. 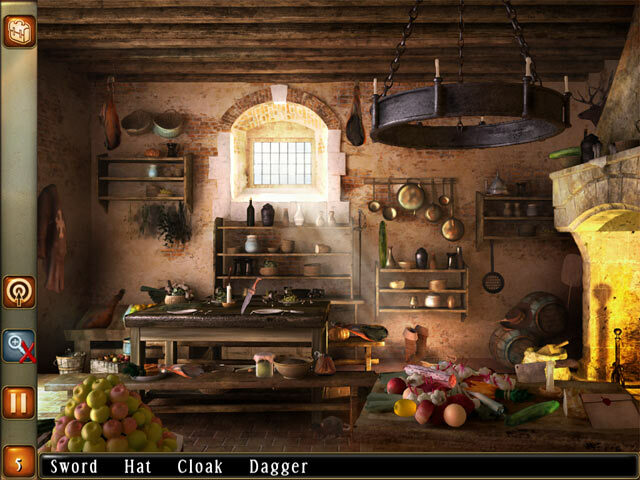 But they know how to make hidden objects interesting. There is the ones where you move, and as you move the perspective changes uncovering new objects. There are the maps where you have to find cities by name to trace a route, or to discover the regions by shape. There are the black silhouettes of enemies that you have to fight. And the stuff that you find IS related to the story, not just alot of junk you have to dig into to find the one object you need. The story, well, we all know about D'artagnan, the Three Musketeers, and the Queen's diamonds. It is here retold faithfully enough. A bit short, but it is fun. And because the hidden searches are related to the story you do not have the sensation of another HOS to get through before the story continues. Rated 1 out of 5 by tallycat14 from Awful I usually love most all of the games on this web site, but this one was just awful. Boring, way too easy, like the game developers didn't even try with this one. Most 7 year olds could do this game. Don't waste your time. Rated 1 out of 5 by GamerCouple from Nice concept, but horrible interface. I don't think I'm smart enough to play this game. I downloaded the trial and didn't even get as far as the first puzzle; I couldn't figure out how to get anywhere or do anything. I wanted to like this game very much and liked the general backstory and artwork in it, but the interface is hideously confusing and needlessly complicated. This is definitely not my first visit to the HOG rodeo, either. Will not be purchasing and do not recommend it to anybody but those who are really, really quick-witted and can forgive its interface. 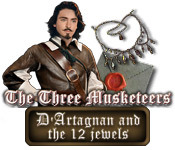 Help D’Artagnan and the Three Musketeers find the Queen’s diamonds and save the honor of France in this exciting Hidden Object game!